It’s particularly gratifying to see that the work is standing the test of time. 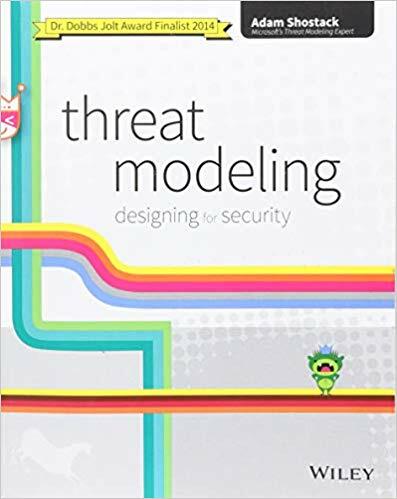 I am super-pleased to report that Threat Modeling: Designing for Security has been named a Jolt Finalist, the first security-centered book to make that list since Schneier’s Secrets and Lies in 2001. Russ had an official role as “Technical Proofreader,” but that understates what he did. What he did was make sure that infrastructure and operations got a full and fair treatment, and the book is better for his help. There’s an important interplay between threat modeling for developers and threat modeling for operations. The threats are the same, but the mitigations are functionally different. There are mitigations which are easy for developers which are hard or impossible for the operations, and vice versa. The simplest example is logging. It’s really hard to add logging without changing the source. But reading the logs? There’s no way for a developer to ensure that that happens. Someone in operations has to decide what logs are important and relevant. Good threat modeling can elicit the threats, and lead to the early creation of a security operations guide, making explicit who needs to do what. 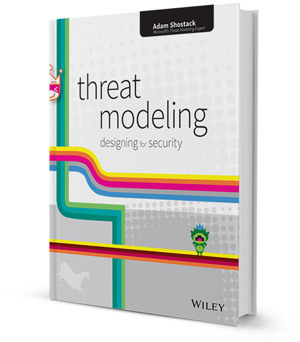 When Wiley asked me about a technical editor for Threat Modeling: Designing for Security, I had a long list of requirements. I wanted someone who could consider the various scenarios where threat modeling is important, including software development and operations. I wanted someone who understood the topic deeply, and had the experience of teaching threat modeling to those whose focus isn’t security. More, I wanted someone who I respected for their depth of experience, where I wouldn’t be tempted to ignore comments which were tough to address or required me to rewrite a chapter late in the process. And Chris Wysopal was the perfect guy for that. His background includes time at the L0pht, so he knows how to think like an attacker. 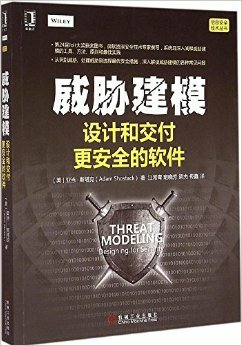 While he was at @Stake, he delivered threat modeling as a consultant, and helped companies (including Microsoft) learn to threat model. And at his most venture, Veracode, he’s bringing secure development technology and services to a wide range of companies. So I’m thrilled that we were able to work together on this book. In light of me already spending time on what to put on which blog, but more importantly, not wanting readers to have to subscribe to three blogs, I’ll be blogging about threat modeling here on New School. Five years ago Friday was the official publication date of The New School of Information Security. I want to take this opportunity to look back a little and look forward to the next few years. Five years ago, fear of a breach and its consequences was nearly universal, and few people thought anything but pain would come of talking about our problems. Many people found it shocking when we challenged best practices, or asked if there was evidence for the ways we invested in security. I’d like to think we played some small role in how the culture of information security has changed. I’m hopeful that culture will continue to evolve in ways that focus on outcomes and data about those outcomes. At the same time, as I reflect, I go back to what Andrew and I wrote. Learning from other professions, such as economics and psychology; to unlock the problems that stymie the security field. The way forward cannot be found solely in mathematics or technology. The embrace of the scientific method for solving important security problems. Analyzing real-world outcomes is the best way for information security to become a mature discipline. We’ve seen tremendous movement in the sharing of objective data. From the DBIR to Mandiant’s report to revelations from Google, RSA, Bit9 and many others, we see people willing to talk about what went wrong. Sure, they sometimes add some spin, but that’s human nature. We’re seeing data being shared, or as I now like to say, published. We can’t take credit for that. Lots of people did a lot of hard work to convince their organizations to publish that data, and we’re learning from it and collections like the Open Security Foundation’s dataset. We’ve also heard from countless folks about how much they liked the book, how it’s influenced their thinking and their actions, and that’s been a wonderful return on our work. We also haven’t yet seen a lot of published data on the effectiveness of various security investments. As far as I know, no compliance regime yet requires breached entities to report back to those who create the standard about what went wrong, perpetuating the wicked environment in which we work, and wasting the time and money of those who need to comply. Andrew and I remain optimistic that our world can get better, and we’re proud to have helped illuminate a path forward.